1 Youth Standing Committee on National Security & Foreign Affairs Ms. Batool Abid Memon, YP2-42-SINDH03 Pakistan’s National Action Plan (December 2014): What is the State of its Implementation and Possible Proposals for Effective Implementation & Oversight. 2 Youth Standing Committee on Finance Mr. Asif Ali Khuhro, YP2-41-SINDH02 Pakistan’s Extended Fund Facility (EFF) Plan with the IMF and its Short-Term and Long-Term Economic Impact on Pakistan. 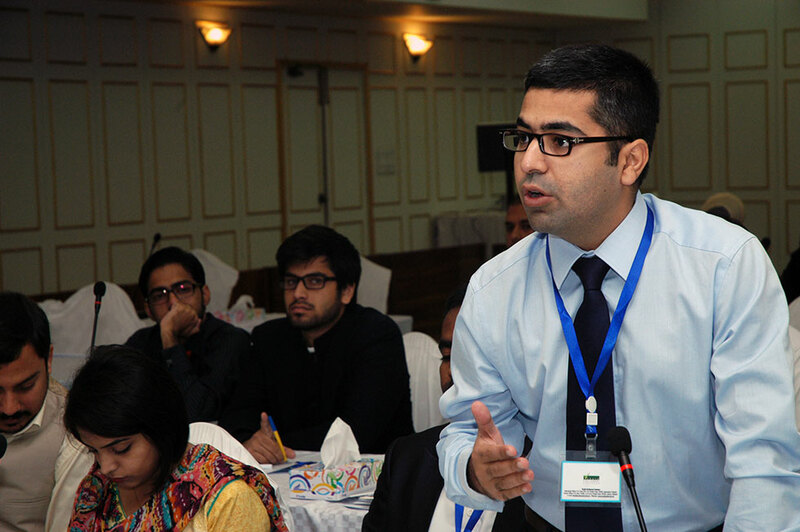 4 Youth Standing Committee on Governance Mr. Ahmad Mukaram Malik, YP2-13-PUNJAB02 What are the best International models for measuring Quality of Governance and why? This practice was done to put the final touches on their Reports before presenting and defending Committee Reports to the Panel of Experts on Sunday, September 06, 2015. Yesterday, young Parliamentarians observed a moment of silence on the sad demise of seasoned legal and constitutional expert, Mr. Abdul Hafeez Pirzada. Mr. Javed Jabbar, Former Senator; Former Federal Minister for Information and Media Development and Syed Fakhar Imam, Former Speaker National Assembly of Pakistan, addressed the Youth Parliament Pakistan Members in the morning session on Parliament & Provincial Legislatures. Later, both the Speakers held an interactive question hour session with the young members. While describing the working of Parliament, Mr. Jabbar said that Representatives of people, Constitution Making, Monitors of Governance, Judicial Institutions all make up the basic structure of working of the Parliament. He further emphasised the fact education should have been a shared responsibility of the Federal and Provincial Governments. Syed Fakhar Imam while speaking about the working of the Parliament, emphasised that the legislation should be processed only through Committees, attendance record of Parliamentarians should be made public and the Members’ voting record should be registered and made public. Honourable Syed Naveed Qamar, MNA Chairman National Assembly Standing Committee on Railways addressed the Youth Parliament Members on Module II “How Parliament Works?” He explained the Members about the structure and functioning of both Houses of the Parliament. Mr. Nohman Ishtiaq, Public Finance Expert briefed the Members of Youth Parliament about the role of Parliament in the Budget Process. He said that Pakistan, Denmark and Bangladesh are the only democracies in the world where the Ministries may deviate from their allocated budget without approval from the legislature. In Pakistan, this has historically meant that with the presentation of each Budget, legislators are asked to sign off on appropriations and supplementary budgets from the previous financial year. 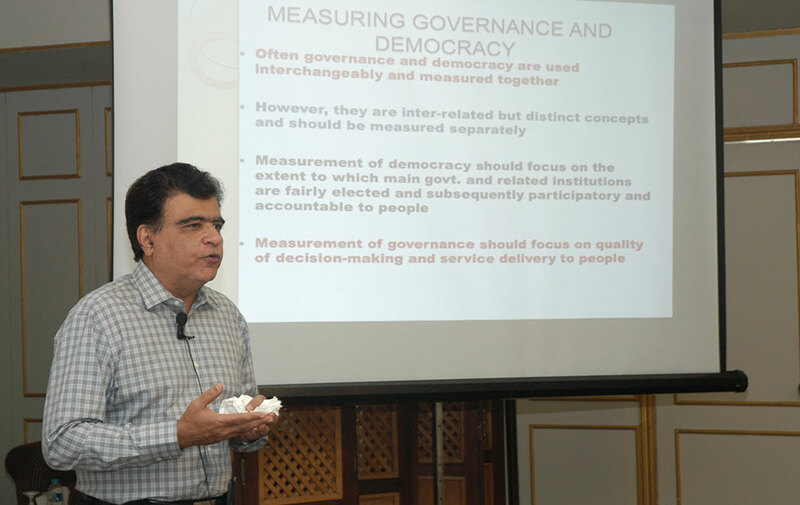 Subsequent to the training session held yesterday, the young people were addressed by Dr. Niaz Murtaza, Development & Political Economist; Senior Fellow UC Berkley on “Governance & Good Governance”. 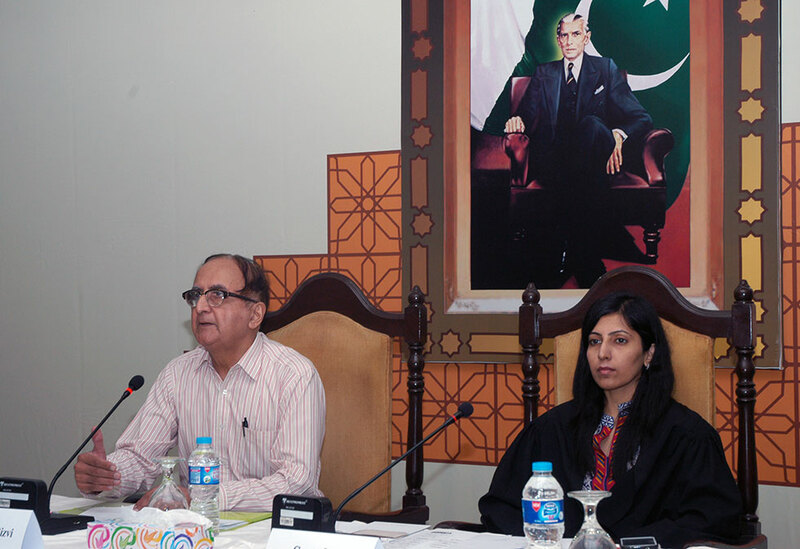 In addition to this, Senior Defence & Political Analyst, Dr. Hasan Askari Rizvi delivered a training session on “National Security & Civil-Military Relations” with the aim of assisting the Young Parliamentarians in enhancing their knowledge on the National Security issues prevailing in the country. Presenting Legislative Business on the floor of the House, young Parliamentarian Ms. Amber Arif (YP2-15-PUNJAB04) demanded modification in the jail management system as the prevalent system encourages crime prone behavior among prisoners instead of assuring their moral correction. Both the resolutions were adopted unanimously by the respective House.